Mainstreaming Reiki to me is increasing public awareness of Reiki and what Reiki offers as a healing modality. What was your first experience with Reiki? Reiki came into my life when I needed healing myself – Mind Body Spirit. It was three months before my graduation from Holistic Nursing when I saw flyers about Reiki. I was very skeptical, and was just curious about what Reiki could offer me as a healing modality. As an RN and Holistic Healthcare Practitioner, I’m blessed to offer Reiki with my family, friends, co-workers, staff, patients/clients, community, volunteer activities, etc. I’m grateful to Bellevue Hospital and VA Manhattan and to my fellow Reiki Practitioners in joining me to offer Reiki to both hospitals’ staff and management during Nurses Week. Treating students at LaGuardia Community College was also great! To mainstream Reiki, what steps can you suggest to the Reiki community ? Keep it simple. Focus on the benefits of Reiki. 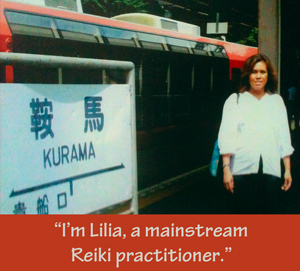 Provide testimonials by actual recipients of Reiki. Take advantage of the credible and useful links readily available to the public such as NCCAM (National Center for Complementary and Alternative Medicine) PubMed® and NIH (National Institutes of Health) clinical trials. Become an informed consumer/practitioner, knowing existing standards, regulations, laws in the state and country where you live. Reiki is here to stay. Reiki is already within all of us. Each of us has an innate ability to heal ourselves.